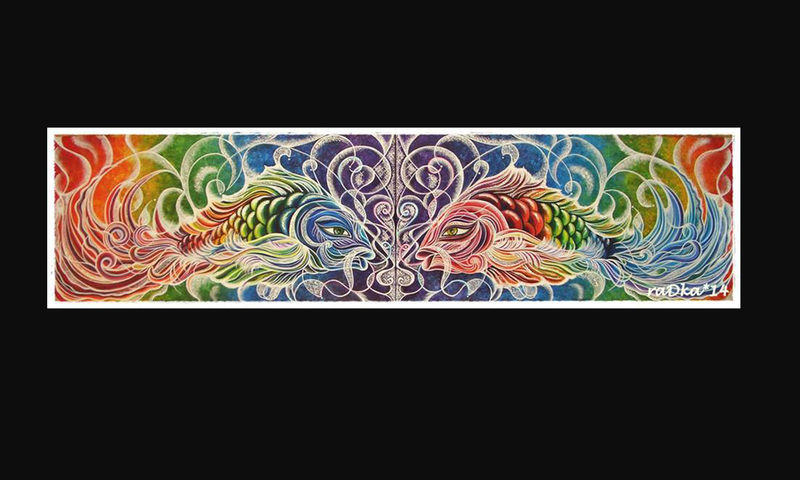 Cooperations with other artists is something I cherish deeply. 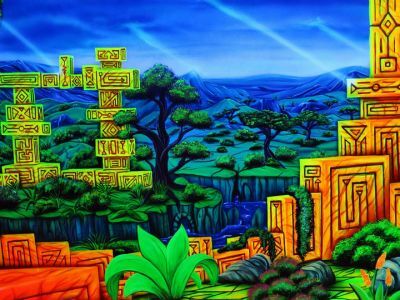 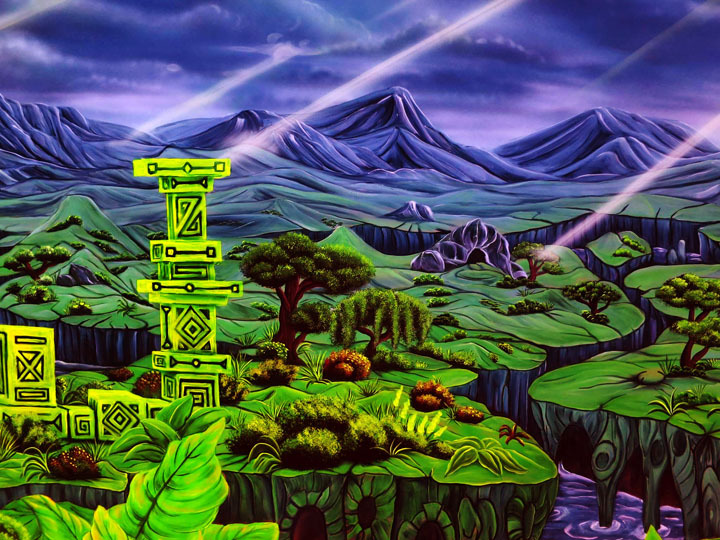 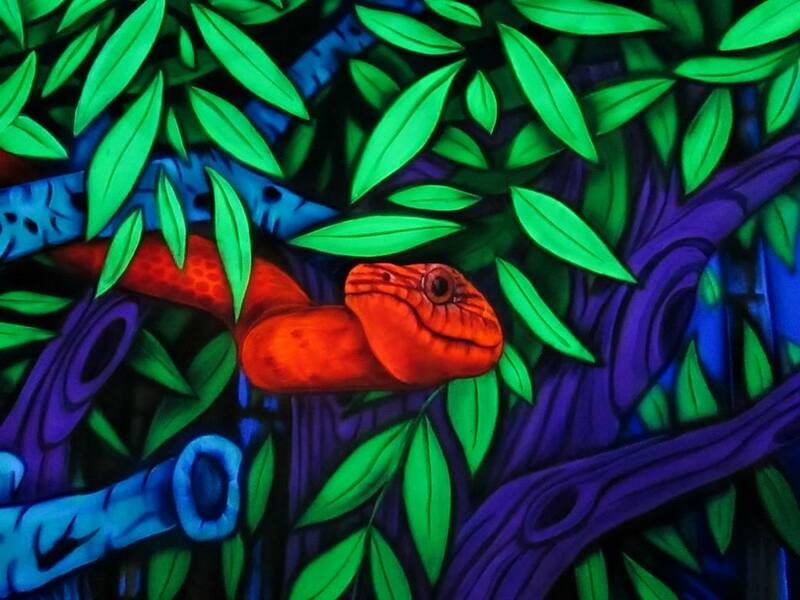 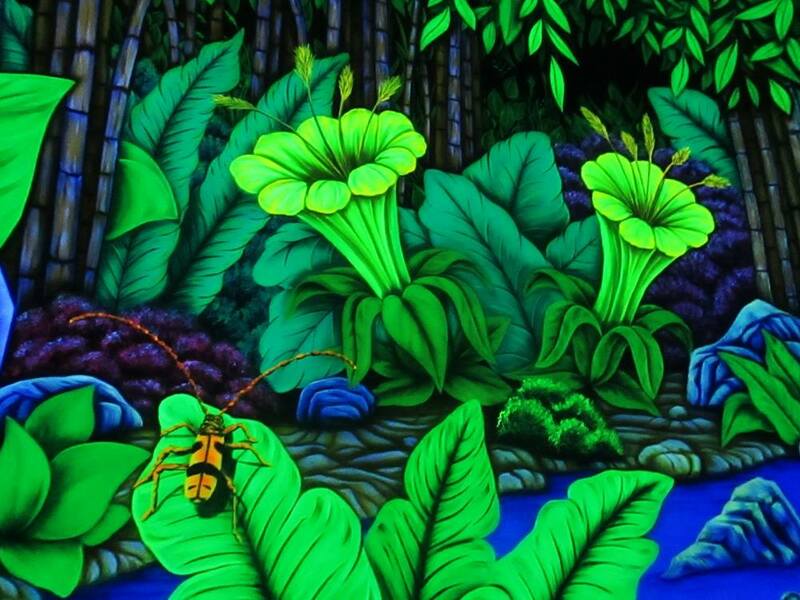 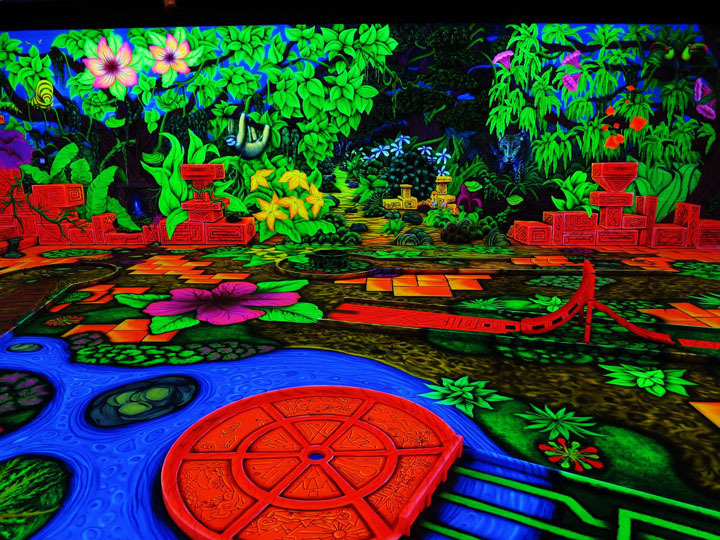 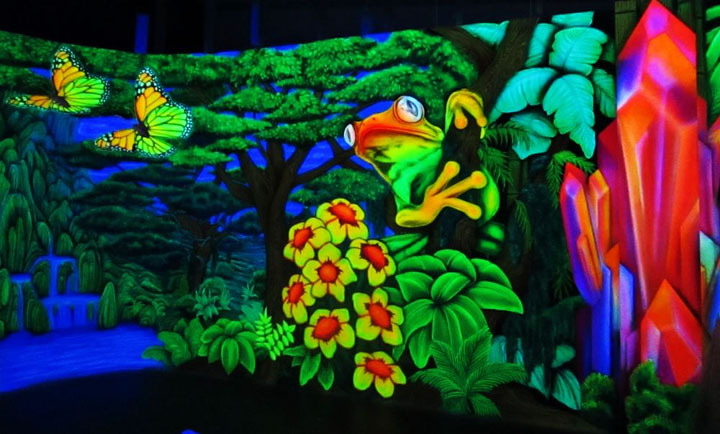 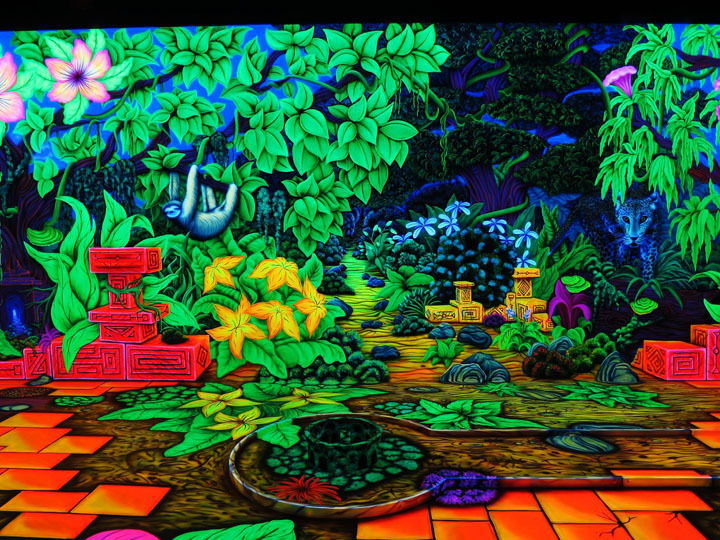 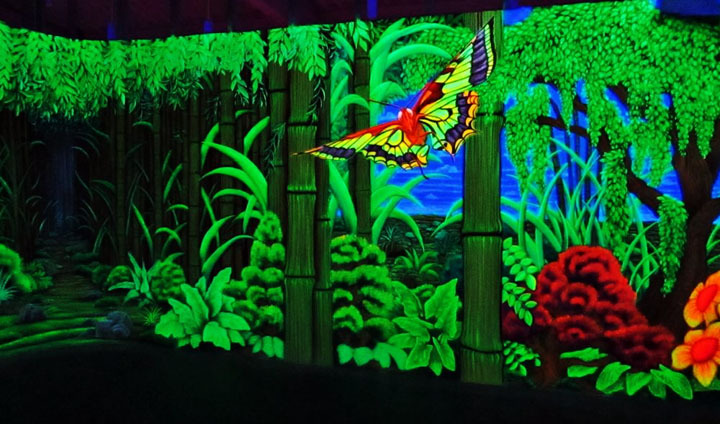 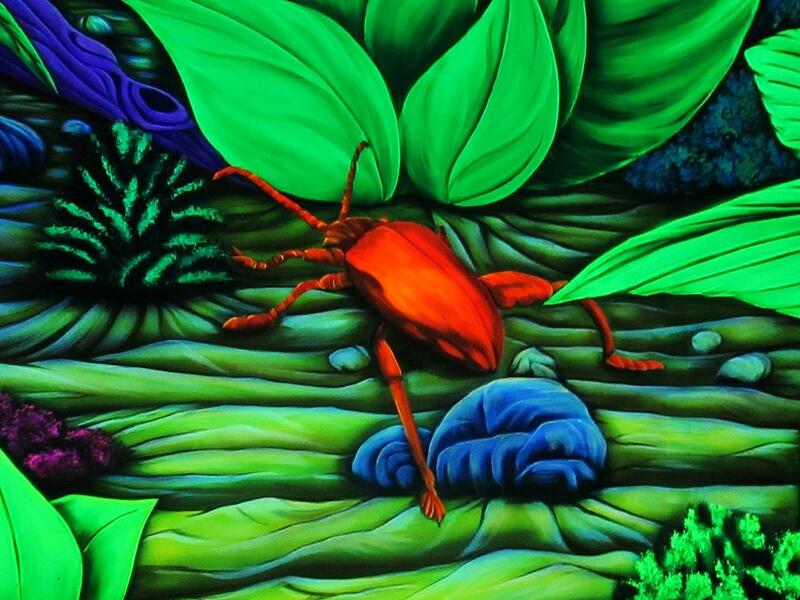 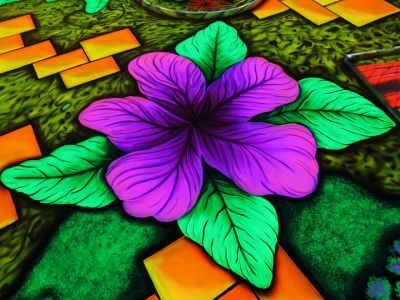 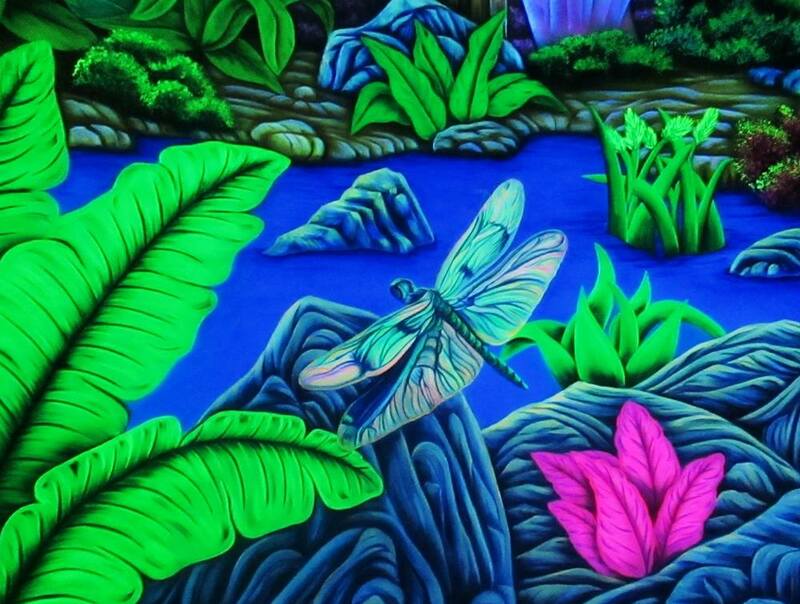 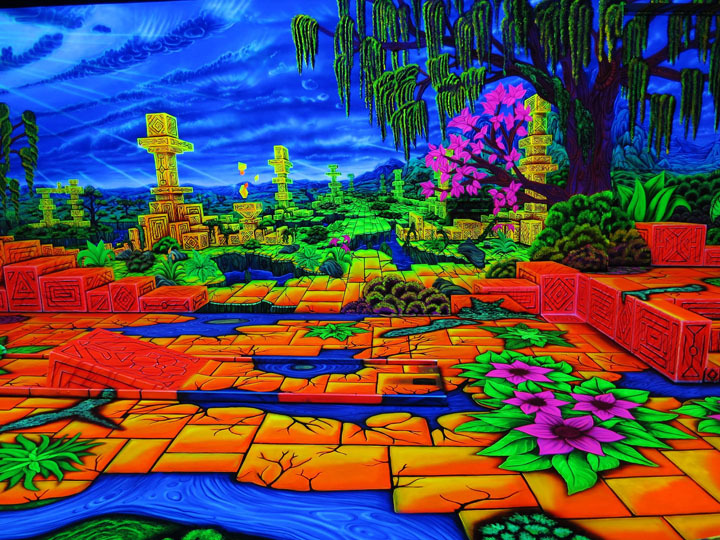 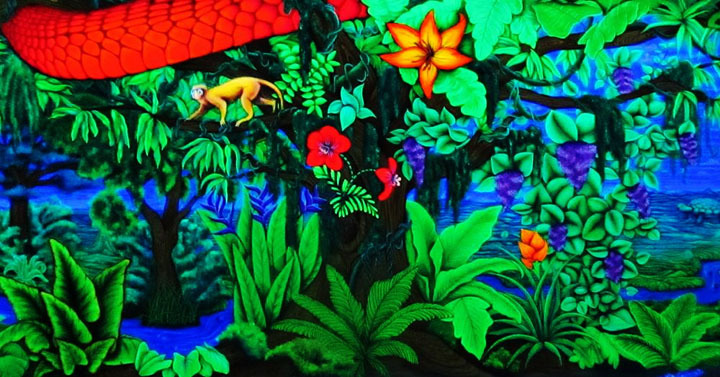 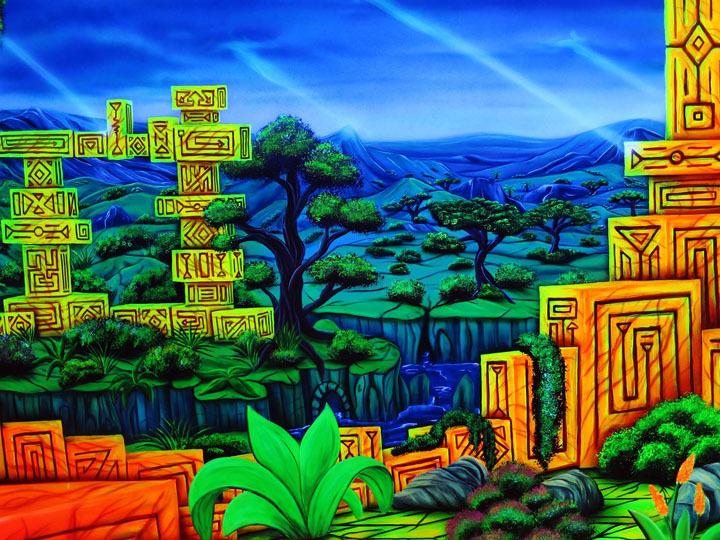 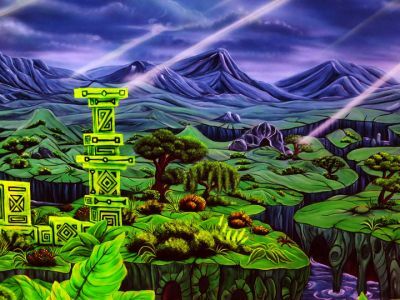 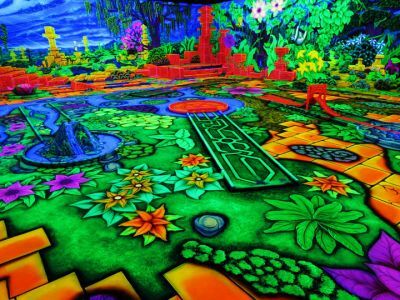 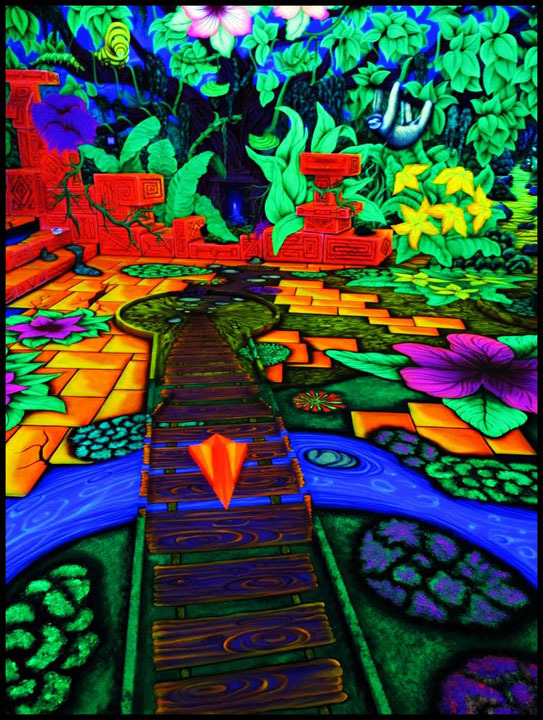 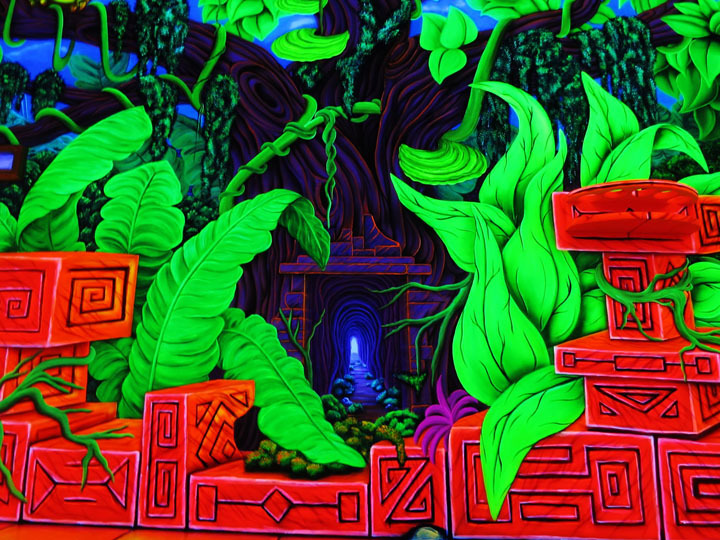 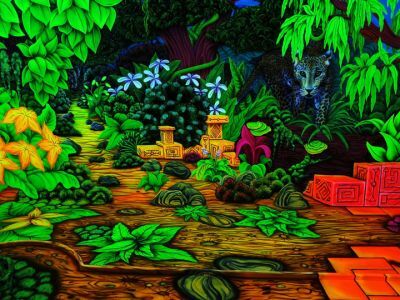 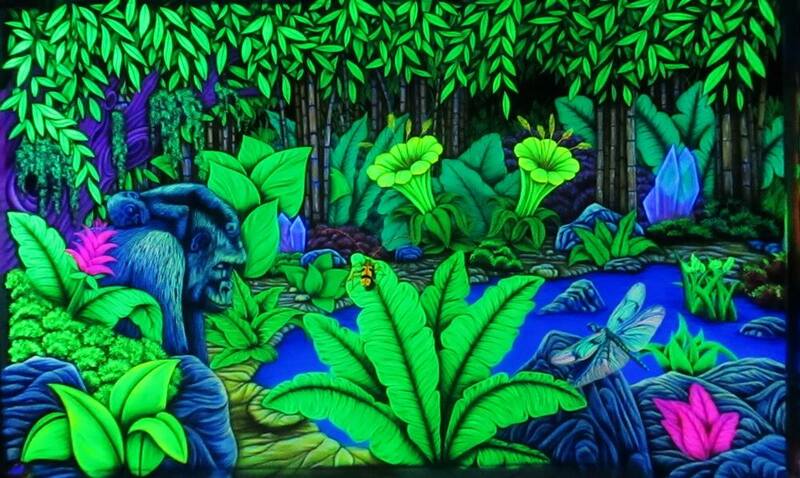 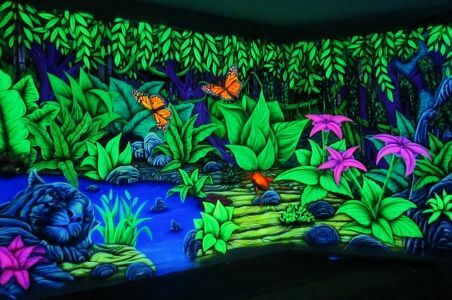 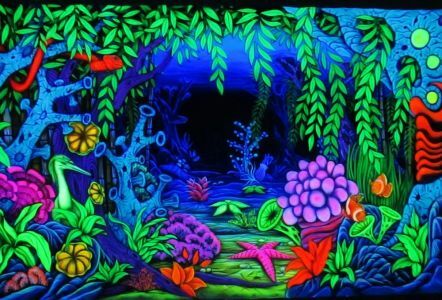 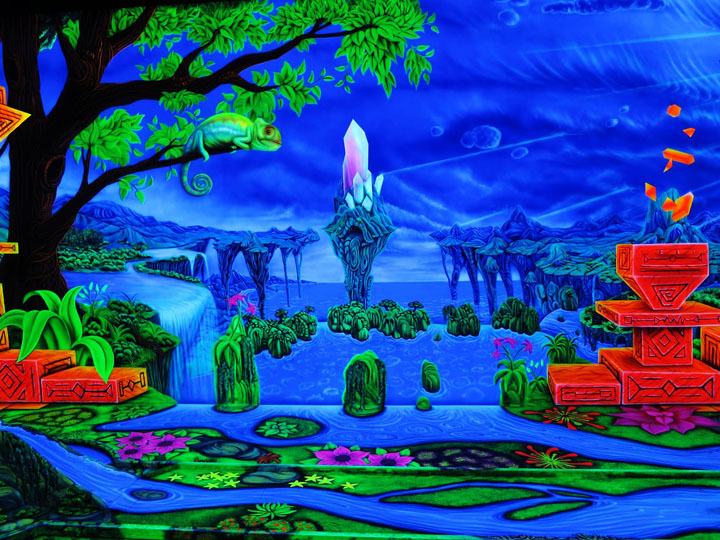 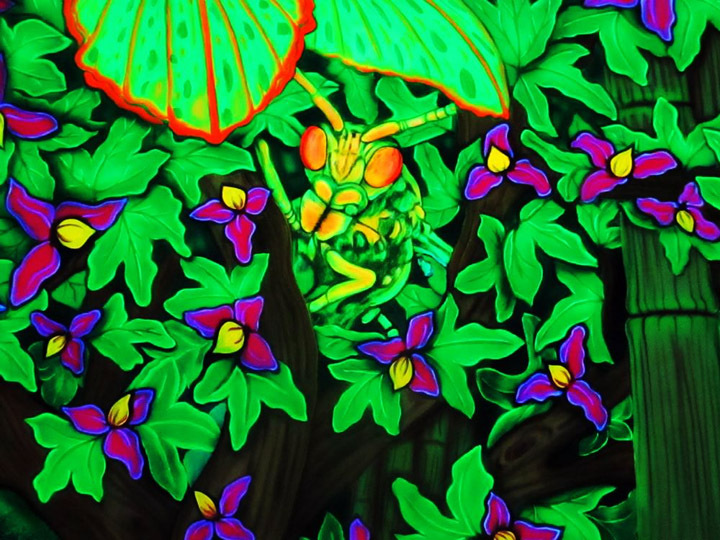 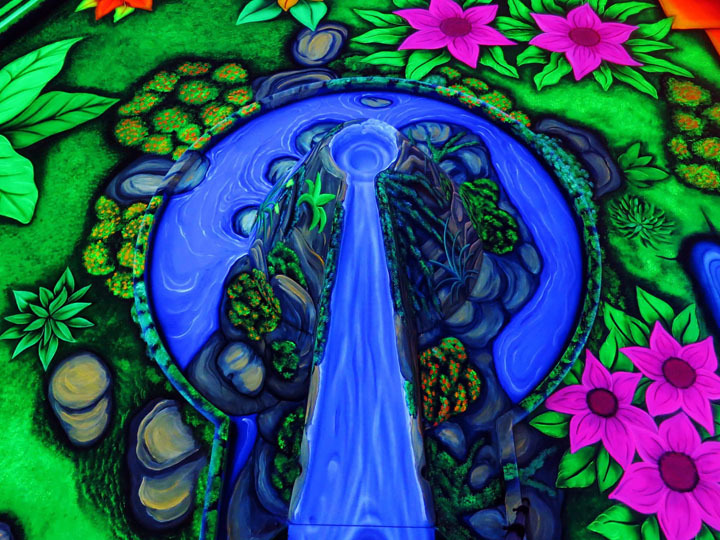 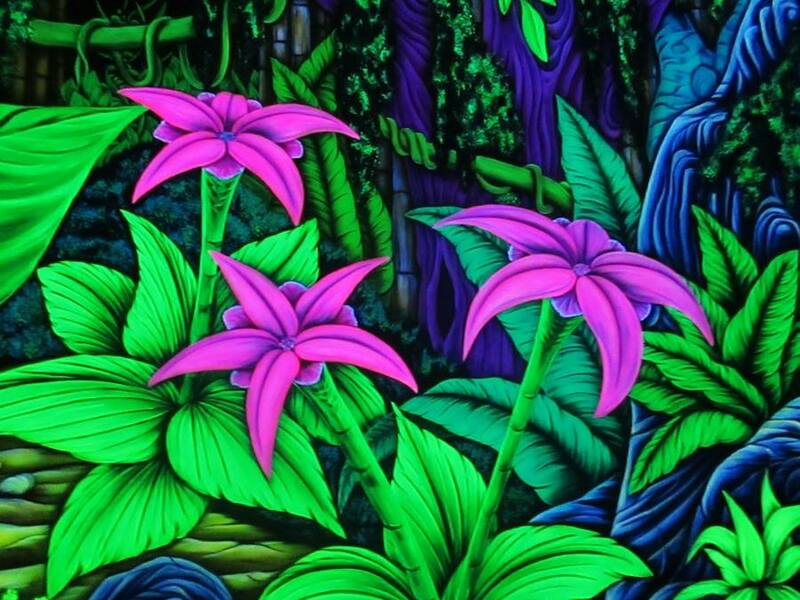 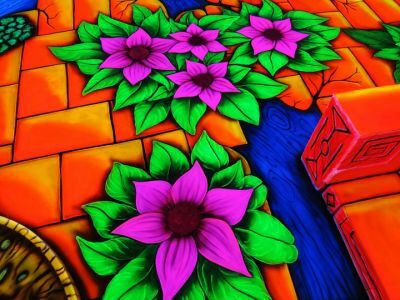 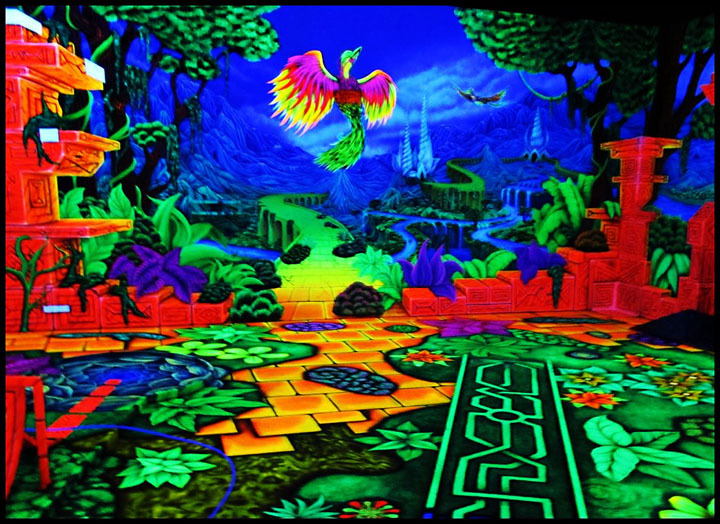 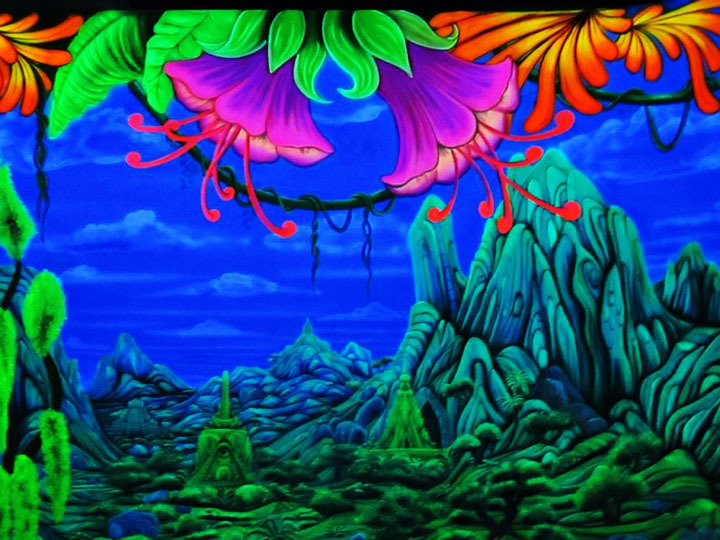 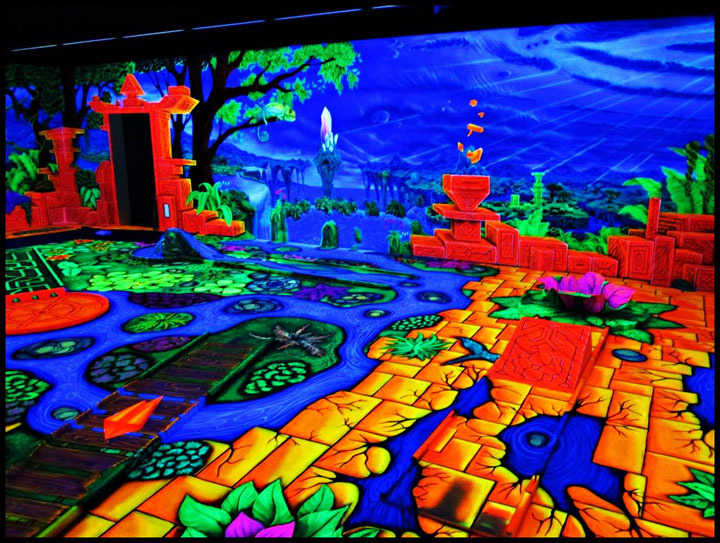 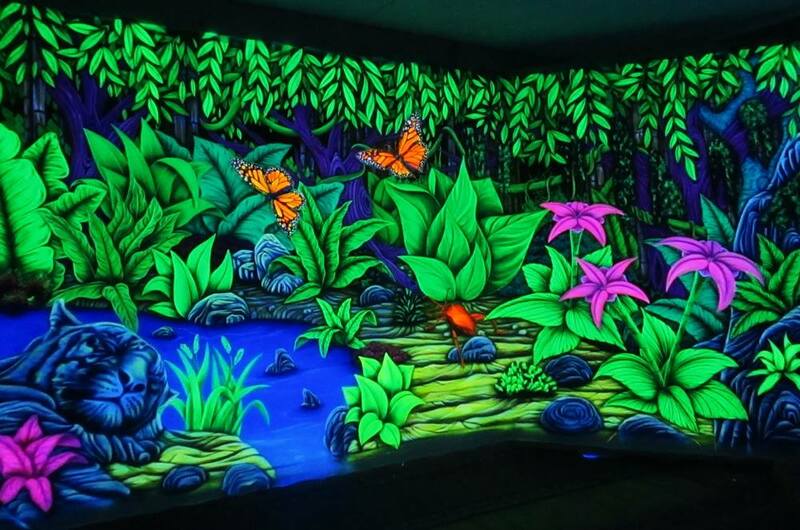 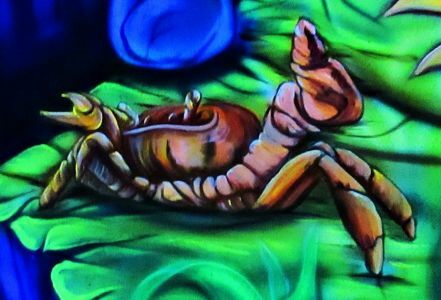 Since 2015 I have been a part of an artist team Colorboration, a group of blacklight artists who specialize on creating UV-active, 3D indoor spaces. 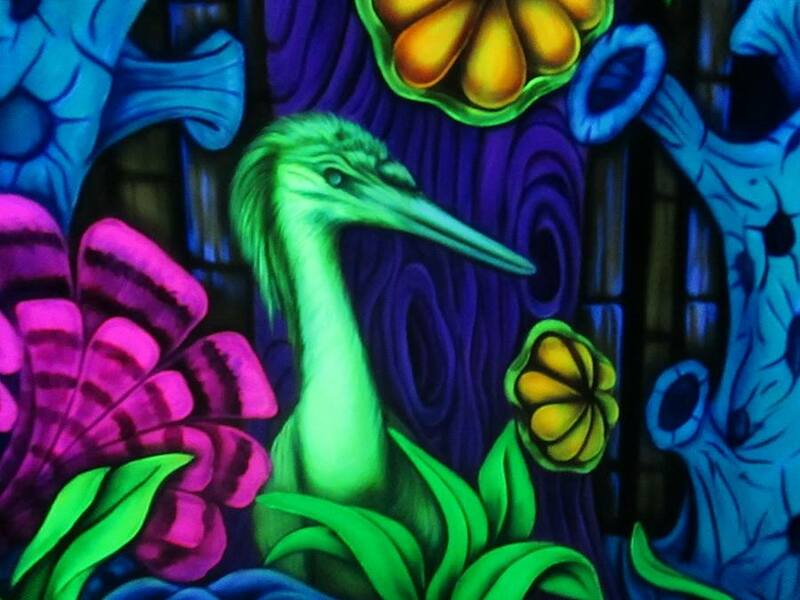 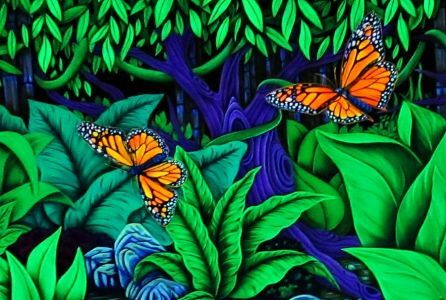 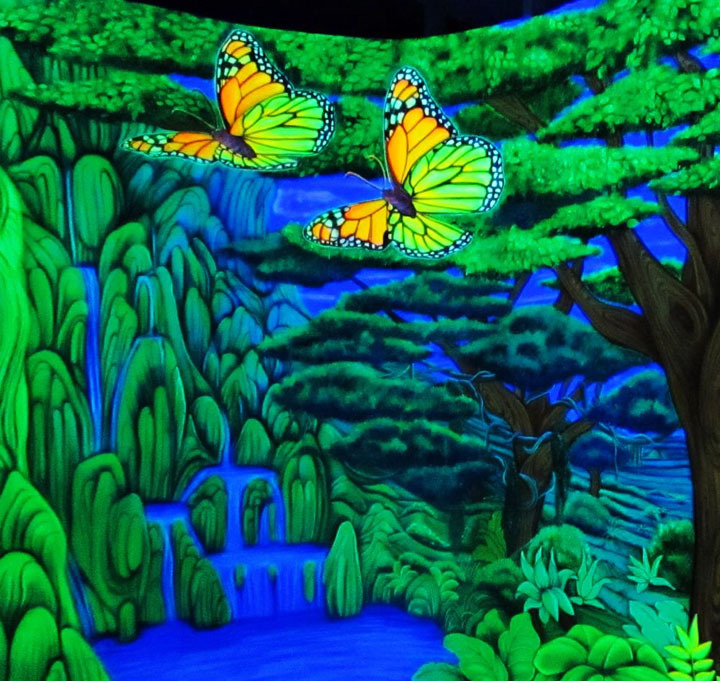 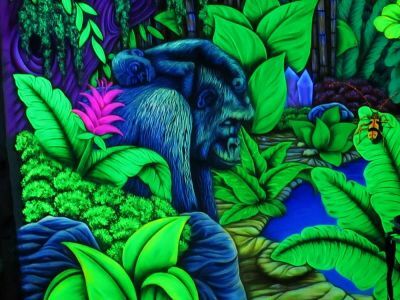 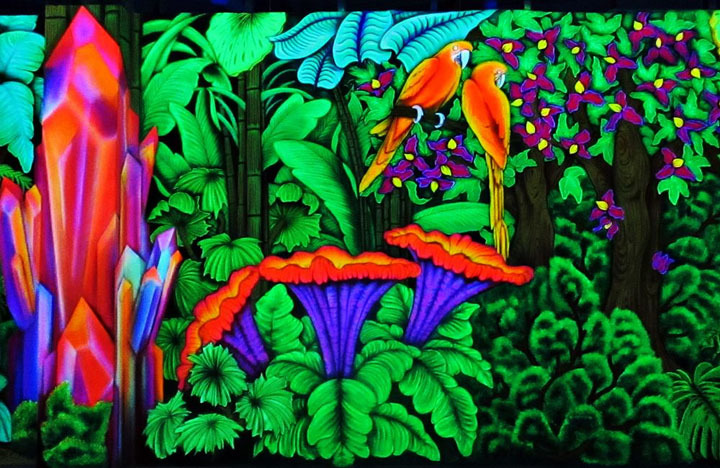 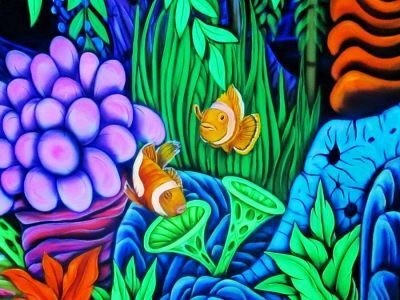 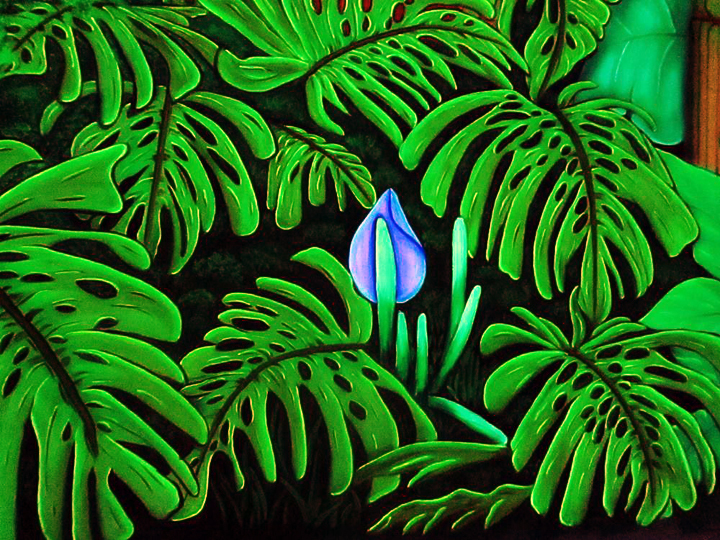 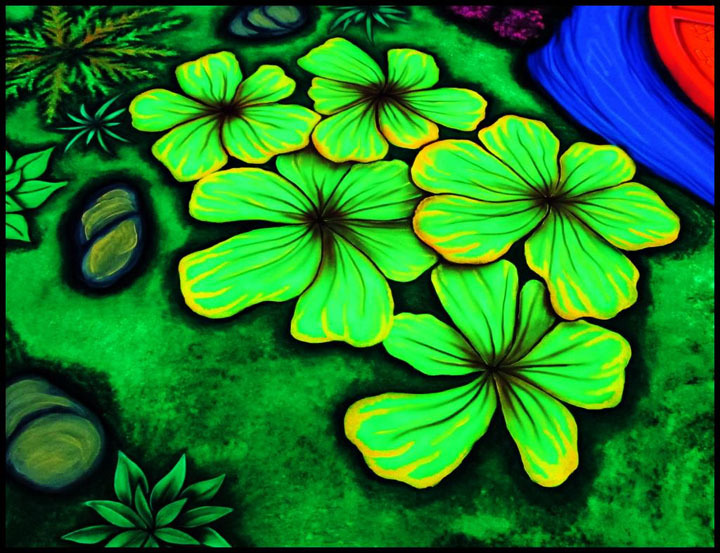 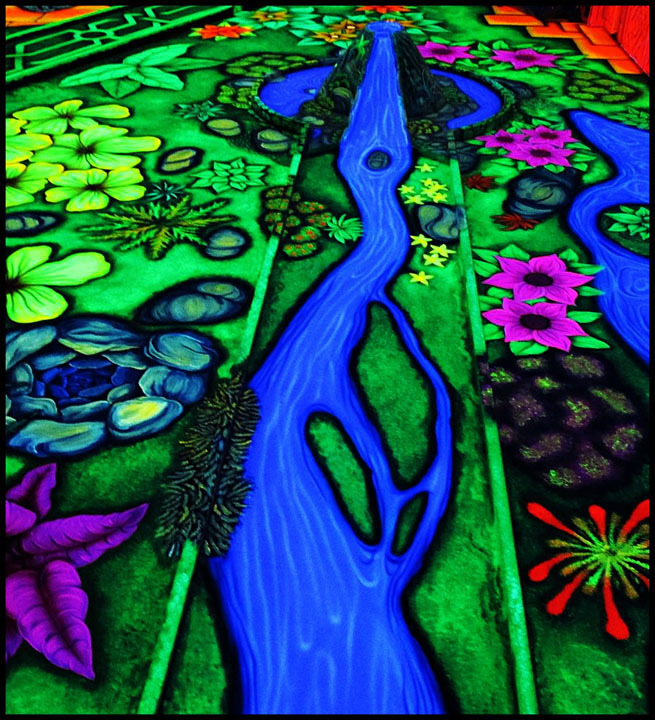 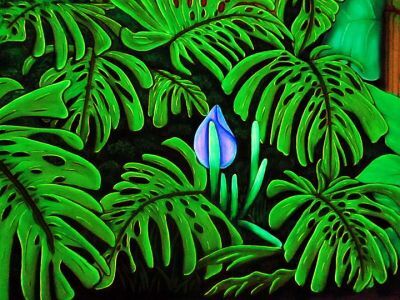 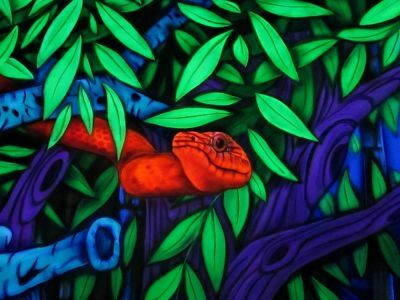 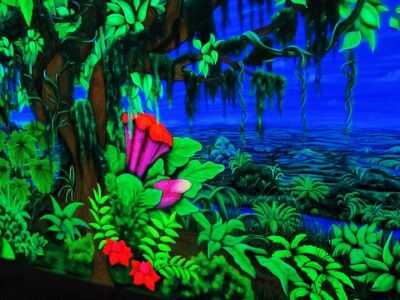 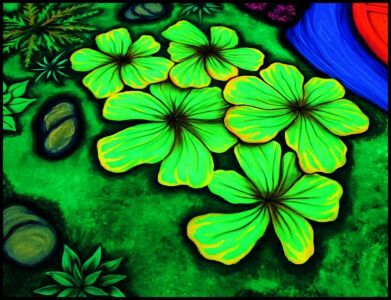 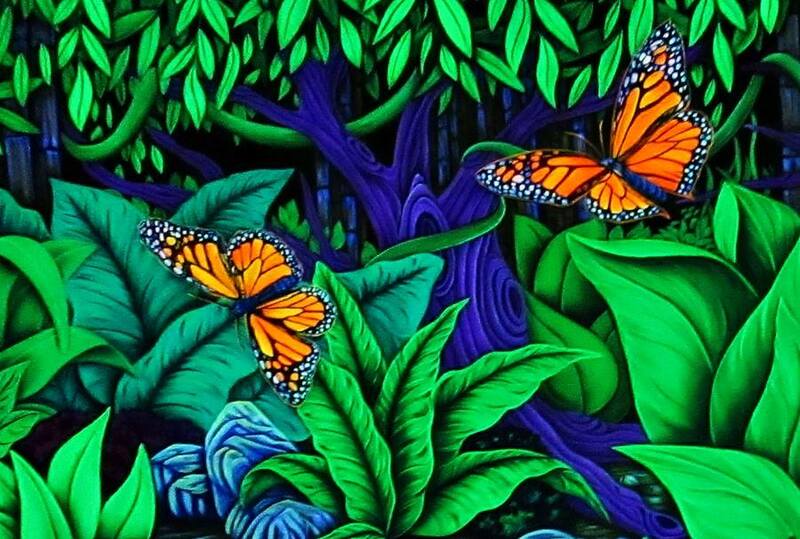 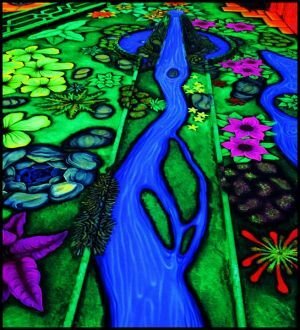 Many years of experience with blacklight art allow us to create unique indoor spaces, dreamy and fantastic, full of mysterious shine. 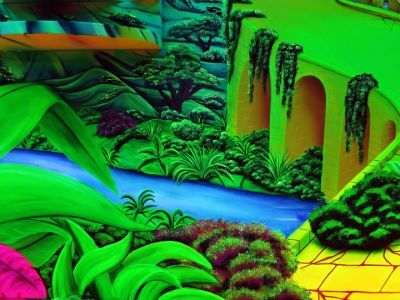 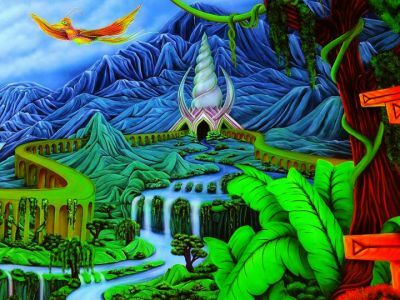 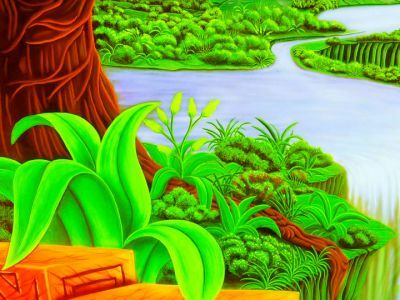 We spend weeks, or even months, working on high definition, detailed landscapes, worlds and fantasy rooms for our customers, that allow their guests to dive into realities so different from the known one. 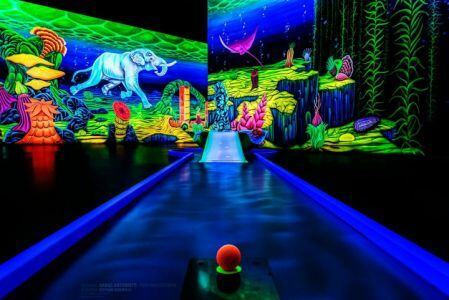 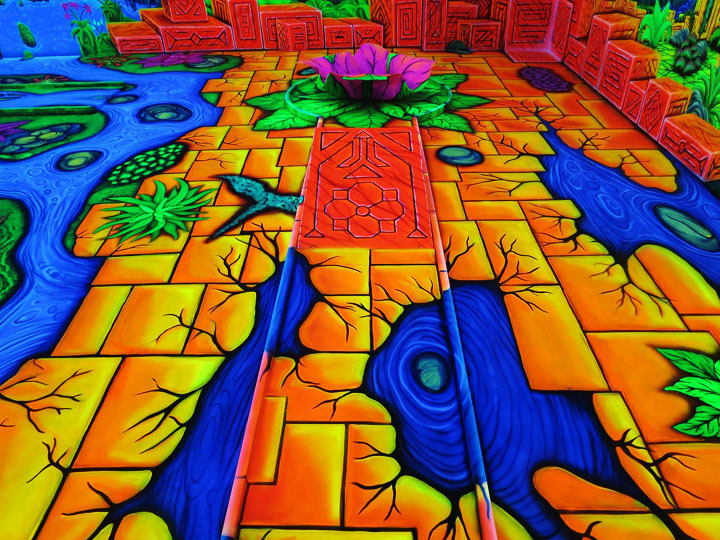 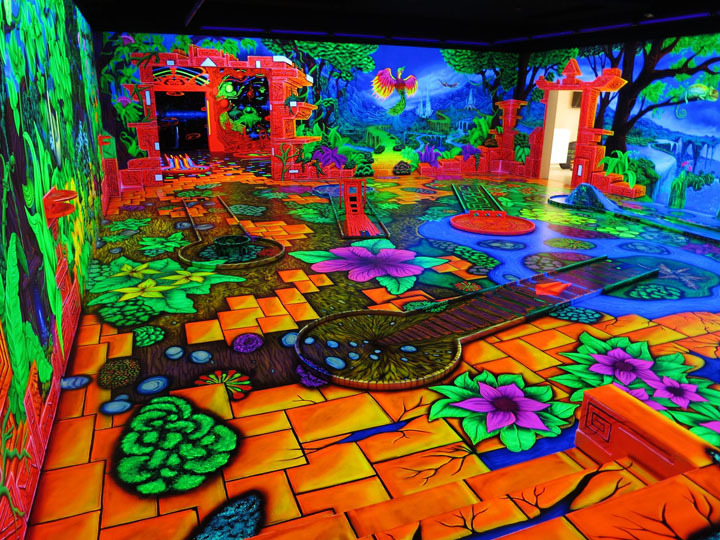 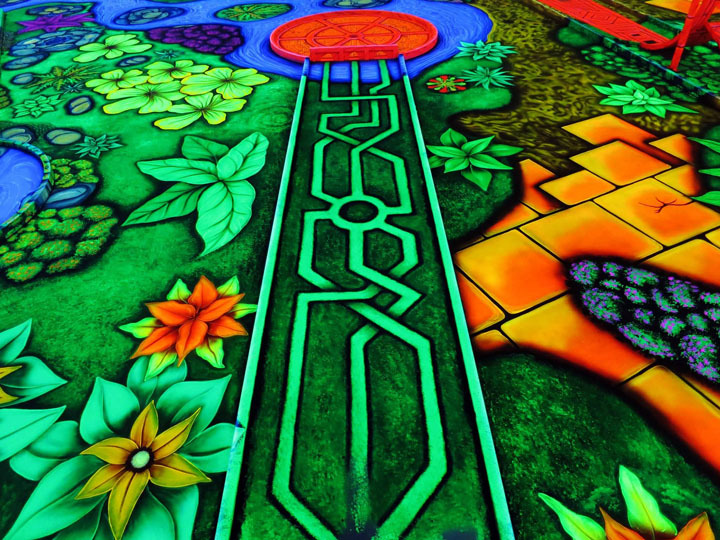 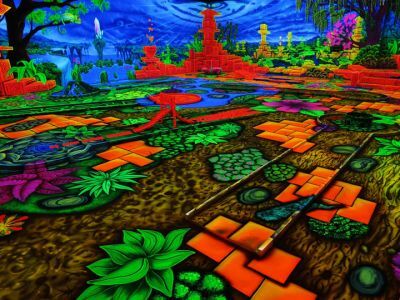 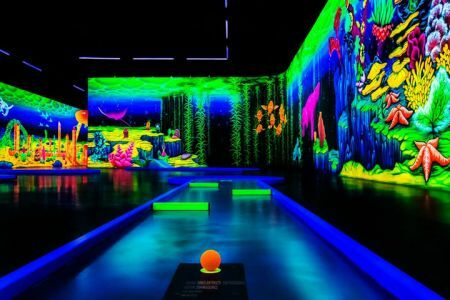 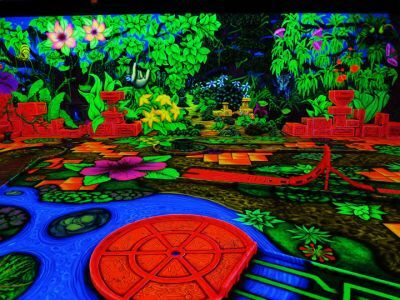 As indoor playing like minigolf, pit-pat, etc become more and more popular in Europe, we are happy to be some of those who design these unusual ambients.